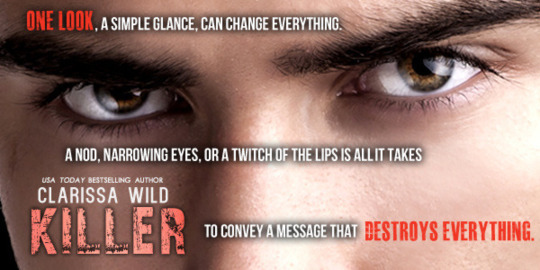 This is the funny thing about this book, I really like the bad guy, the killer. I don't think I am supposed to like him, but in the end he is the only one I do like and the dude got hosed, haha. Phoenix Sullivan is evil incarnate, he's the guy that hides in dark shadows and scares puppies for the giggle. He is not a good dude, no doubt, but you know I am not so sure that he was ever meant to be that way. I think he's become someone because of someone and I am pretty darn sure that someone is Vanessa. I can not stand Vanessa and I think I am supposed to like her. Let's talk about evil incarnate....now I am not going to lie, she's had a real crappy kind of life. Her family is distant and un-loving, her husband, he's a philanderer and they basically hate each other. Even knowing all that, I can't bring myself to feel any sympathy for her. I think she's a liar, a cheat, and a manipulator. She's greedy, selfish, and willing to throw anyone under the bus to get what she wants. Is that a product of her environment maybe, but the way I am seeing it she is in no way better than the guy who is supposed to be the evil character in this story and don't even get me started on Vanessa's Brother-in-law...now there's a creep. Vanessa unwittingly and unintentionally gets implicated in the murder of her famous Hollywood producer husband. "I didn't mean to drag her into this, but I guess she had it coming for her"
Phoenix wasn't looking to involve Vanessa in his business, but she landed there anyway and since she's there he certainly isn't going to step in and correct assumptions. If she takes the fall that's fine with him as long as he stays out of it. That means keeping an eye on her because he knows that she just isn't going to let him get away with this. 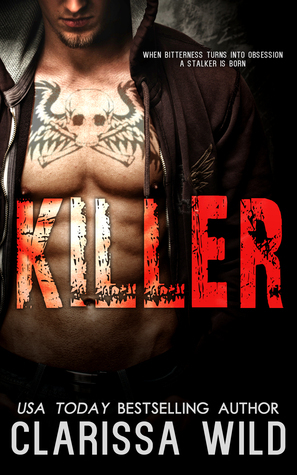 This is a fast paced book with a ton of twists and turns, true game of cat and mouse. 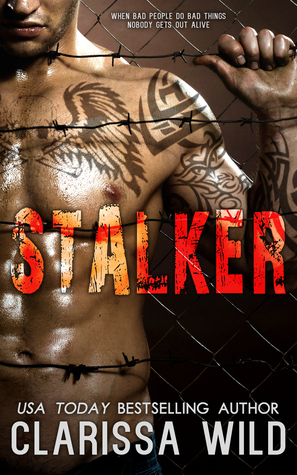 It's dark, it's twisted, and it's a great set up for Stalker, the stand alone novel that Killer is the prequel for. 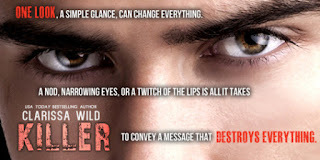 Killer ends on a pretty big cliff hanger but the good thing for everyone is that Stalker is out now so you can move seamlessly into it, because I know we all hate that wait to figure out what the heck is going on and you will so be wanting to know when you get to the end of this book. The book is dual POV which is one of my favorite type of narrative especially when done right and Clarissa does it right. The problem with dual POV is you can end up getting the same information twice but Clarissa transitions smoothly between her two main characters and you never feel like you are getting overlap, instead you feel like you are simply getting more of the story which is exactly how it should be done. Now you guys know I do not like one of the main characters, I am afraid by the end of Stalker I am not going to like the other very well, but I really enjoyed the story and I am so curious to see how it all plays. This is a great read for someone looking for something dark and (very) steamy. It is not in anyway pretty, there isn't a freaking happy grin to be seen, except for maybe when Philip looses his life and that should tell you something right there, haha. 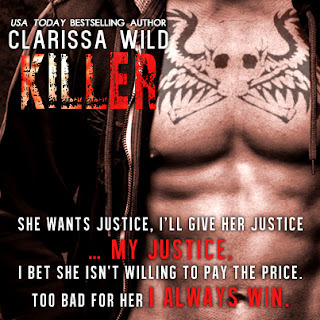 Killer falls right in line with other books Clarissa has written so if you are familiar with her other works you will feel completely at home here, if not there is no better time to start.